A CHILDERS farmer has called for a law change to make it mandatory for international backpackers to sit a driving test before they can drive on Australian roads. Tony Russo's call has come days after two Hervey Bay men were killed in a head-on collision involving two Asian backpackers. Initial police investigations suggest the two women were travelling towards Childers on Thursday morning, and had crossed double lines to overtake a car on a hill before smashing head-on into the car being driven by the two fathers. The women are yet to be interviewed due to their injuries, but police have said the driver could be charged with dangerous driving causing death. Mr Russo said he was witnessing similar near-misses almost on a daily basis. "We've got to do something about it so these backpackers don't come here and drive with little regard for our road rules," Mr Russo said. "I'm just that upset about it," he said. 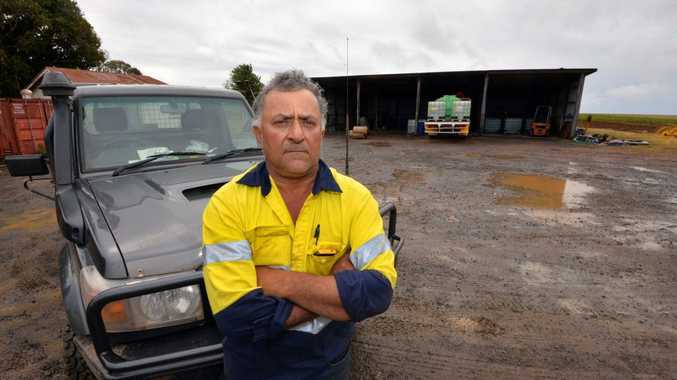 "People are genuinely scared to drive on the roads here in Childers." The concerned farmer said education was "not going to be good enough". "I don't mean to be racist but the (backpackers) have scant regard for our road rules," he said. "They need to pass an exam just like we do. "I'm all for backpackers to come to Australia but they need to understand our road rules." The NewsMail's Facebook friend, Shirley Shepherd, agrees. Do you think overseas visitors should have to sit a test? This poll ended on 26 August 2014. "I still firmly believe our law enforcement needs to overhaul the driving rules for all overseas visitors to our country, for their and our safety while driving on our roads," she said. Tracy Rollinson said backpackers should have to pass the same testings as Australians do to be able to drive. "Driving on our roads with no clue or understanding of roads or road rules means these avoidable accidents are going to continue to happen," she said. Mel McGlinchey said she attended court recently for a crash she was involved in with a car of Asian backpackers after they had pulled out in front of her at a give way sign. "They contested the police ticket," she said. "It went to court nine times before they never showed up for the final court date. "What a waste of police time and Australian tax money." Danielle Dolinski also shared her near-miss involving backpackers. "Literally they just swerved on to my side of the road coming towards me then cut across the intersection to go down the other road," she said. Police Minister Jack Dempsey stressed the majority of the state's fatalities were caused by Queenslanders, not foreign visitors. "We work within the laws and what we've also got to remember are these drivers' licenses are reciprocal across other nations," Mr Dempsey said. Does pressing the pedestrian crossing button do anything?